FORT WAYNE, Ind. -- A total of 50 former Fort Wayne Wizards and TinCaps played in the Major Leagues in 2018. This number is up from 44 a year ago, and 40 in 2016. Of those, six appeared in Major League Baseball's Postseason, including Los Angeles Dodgers infielder David Freese , who is set to appear in the World Series. Fort Wayne has produced 172 big leaguers since the Wizards were founded in 1993. (The franchise rebranded as the TinCaps in 2009 when moving from Memorial Stadium to Parkview Field.) In 2018, 14 players made their MLB debut, and 18 saw time with Fort Wayne's parent club, the San Diego Padres. See complete list below. Corey Kluber of the Cleveland Indians, the reigning American League Cy Young Award winner, was once again an A.L. All-Star. The right-handed pitcher wore a Wizards uniform in 2008. Kluber finished in the top five in his league in ERA (2.89) and strikeouts (222) across a league-high 215 innings. Miles Mikolas represented the St. Louis Cardinals on the National League All-Star squad. He was a Midwest League All-Star for the TinCaps in 2010. After not appearing in the majors since 2014, the righty finished fourth in the N.L. in ERA (2.83). Meanwhile, Washington Nationals shortstop Trea Turner , who was one of the final players to miss making the N.L. All-Star team, led the senior circuit in stolen bases with 43. Turner played for the TinCaps in 2014, as did Tampa Bay Rays outfielder Mallex Smith , who played in Fort Wayne in 2013 as well. Smith finished second in the A.L. in stolen bases with 40. Outfielder Hunter Renfroe , a 2013 TinCap, led the Padres in home runs with 26. Franmil Reyes , the 6-foot-5, 275-pound outfielder who played at Parkview Field for all of 2014 and '15, made his presence felt as a rookie in San Diego with 16 homers. Kluber, left-handed reliever Oliver Perez (Indians), right-handed reliever Joakim Soria (Milwaukee Brewers), left-handed reliever Max Fried (Atlanta Braves), right-handed reliever Brad Brach (Braves), and Freese all appeared in the playoffs. Freese, who was a Wizard in 2006, has a chance to win his second World Series ring. He was the MVP of the 2011 World Series for the Cardinals. 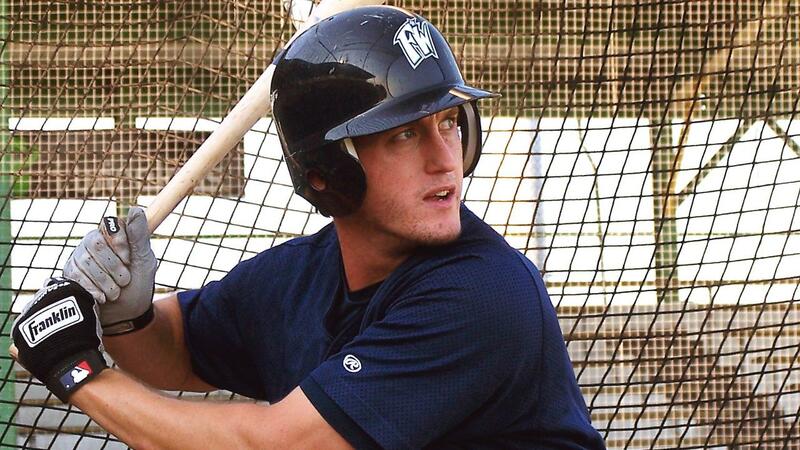 In '06, Freese, then a rookie in professional baseball, helped lead Fort Wayne to the Midwest League Playoffs with eight home runs and 44 RBIs in 53 games, while batting .299 with a .374 on-base percentage. So far in these playoffs, in nine games, Freese is hitting .300 (.333 OBP) with a home run, a double, and 5 RBIs. For Game 1 of the World Series against the Red Sox, he's in the starting lineup, batting third and playing first base. Note: Tim Federowicz (Houston Astros, Cincinnati Reds) made a Major League rehab appearance for the TinCaps in 2015, but isn't included in this count. For a complete list of alumni who've gone from the 260 to "The Show," click here.